My Sister in Data considers the ways in which visualizing personal social media data can reveal new ways to understand human connection in a digital age. The research work incorporates a process of designing data visualizations created out of the researcher's Facebook message archives with her sister. This thesis explores how changing time and distance may affect the ways in which Facebook is used as a tool to help maintain their relationship. The dataset spans 8 years’ worth of messages, a timeframe which includes significant changes in both sisters' lives. Using data visualization tools such as Tableau and D3.js, these designs speak to a desire to comprehend a changing, technologically-enhanced social world and the relationships contained within it. Sana Shepko is a graphic designer born and raised in the Hudson Valley region of New York State. 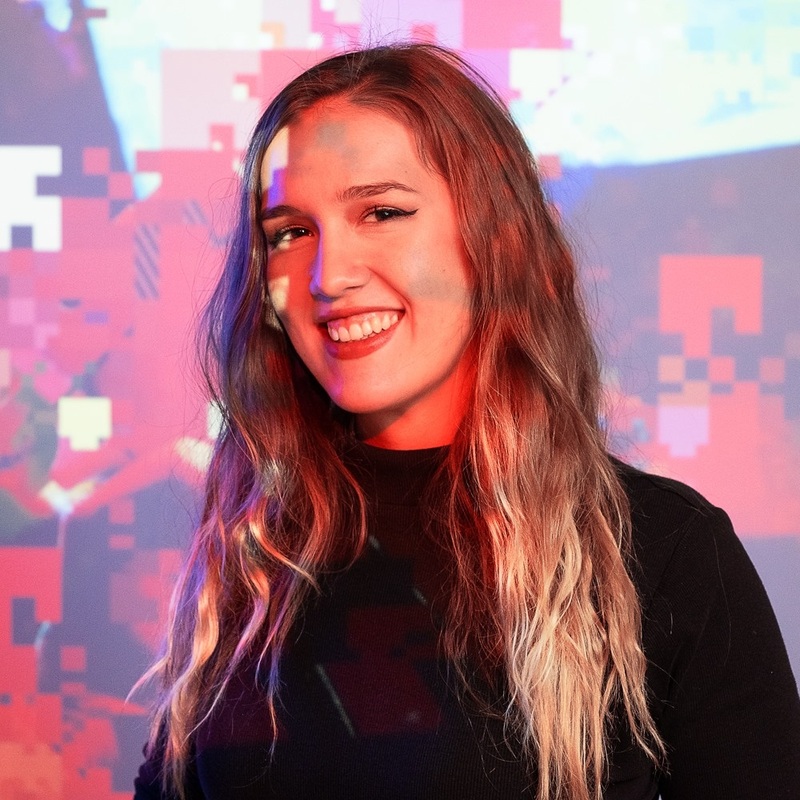 She earned her Bachelor of Fine Arts in Graphic Design from the State University of New York at New Paltz and is a candidate for a Master's in Digital Futures from OCAD University in Toronto, Canada. Sana is also the manager and violinist of the Ukrainian folk band, Korinya, and performs with Korinya and other ensembles on a regular basis. Sana has experience in print design, data visualization, motion design, and User Experience design, and is strongly passionate about effective communication of concept, regardless of the medium.